The Komondor is a somewhat well known livestock guardian dog that originated in Hungary. They have a very distinctive look with thick white corded fur. 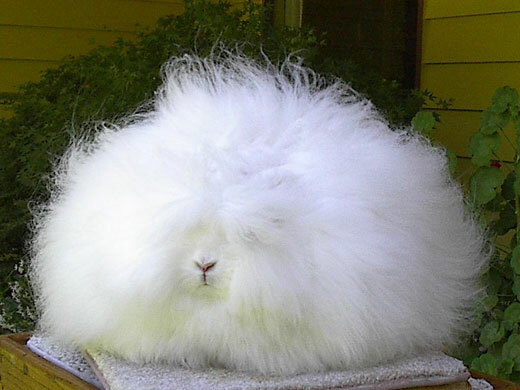 The fur is often compared to a mop or even dreadlocks. When the dogs are born they have very soft and fluffy hair but because of the natural wave the coat curls as the puppy ages and by the time the dog is mature it forms naturally into the cords. Those that own these dogs say that they are very loving, easy to train, and enjoyable to have around but the coat does take some work because if one is not careful they will find that the whole coat will turn into one big tangle! One benefit of a corded dog is that shedding is minimal. The coat actually served as protection for the dogs when they were out working with livestock because wolves were not able to bite through the corded coat. 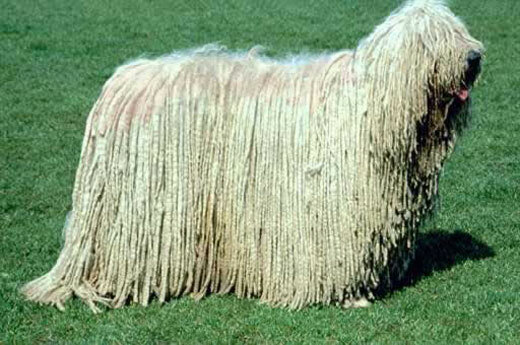 The history of the Komondor is hotly debated among those with an interest. One school of thought is that the breed was a dog of the Magyars while there are others that believe that the dog was a pet of the Sumerians. The most fact based thought is one that believes that the breed was originally brought to Hungary by the Cumans, who were a Turkish speaking people that came to the country in the 12th and 13th century. It is known that the first time the name of the breed was written was in 1544 in the History of King Astiagis by Kakonyi Peter, which was written in Hungarian. Based purely on the look of the dog, it is often confused with the Puli as well as the Bergamasco. It is also thought that the breed may be related to the South Russian Ovtcharka. Many believe that the corded coat must have developed due to living in dry and extreme temperatures because the fur is able to guard the dog against warm and cold weather, though the dogs often suffer when they get wet. Because of the fur the dogs have been used throughout history as livestock guards because they are big, strong, and they have a thick coat that will protect them from the elements as well as from other animals. The Komondor can be seen as two distinct dogs in one body because when everything is calm and normal the dog is very laid back but when there is any trouble the dog will change into a fearless defender in an instant. The dogs are quite independent, as well they should be for the type of work that they were bred to do, yet they are known to be very loving toward the humans that they live with. Many families believe that you could not find a gentler and loving dog to have with children. The nice thing about having these dogs around a home is that they are very territorial and they will not just allow anyone to wander on the property. 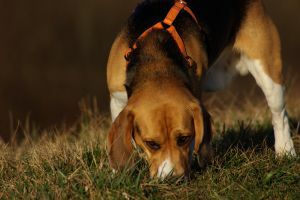 In fact, it may take some time for the breed to realize when someone is wanted on the property that is not normally there.